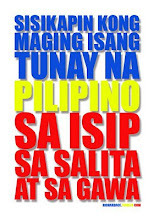 Aral Pinoy launches its 1st Year of Aral Pinoy Project Baon (School Year 2011-2012) in honor of the Dr. Jose P. Rizal's 150th Birth Anniversary (June 19, 2011) during 113th Anniversary of the Proclamation of the Philippine Independence (Araw ng Kasarinlan) (June 12, 2011). 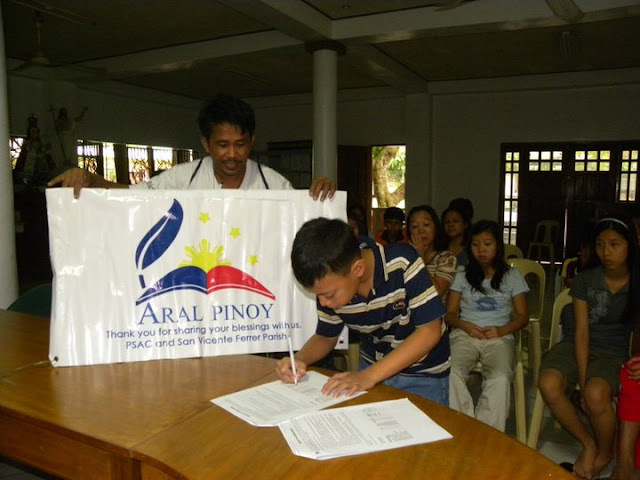 Aral Pinoy Project Baon assured the schooling assistance of the following ten (10) scholars for this school year 2011-2012. 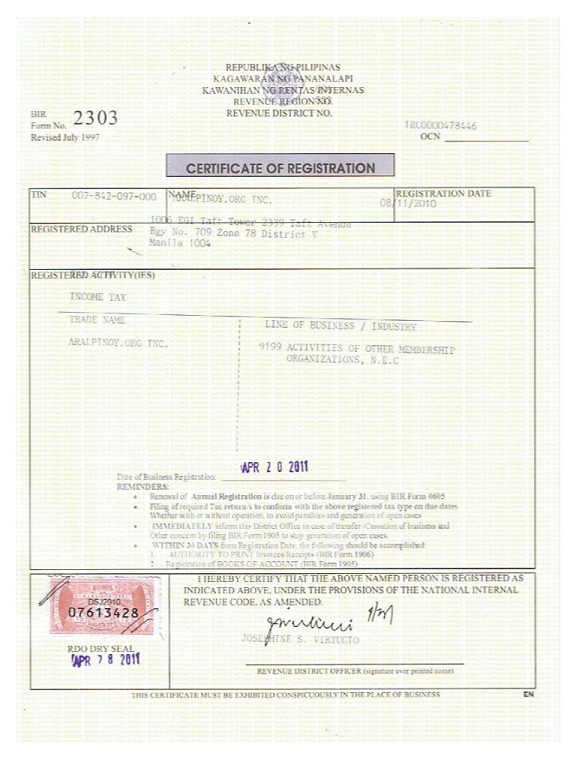 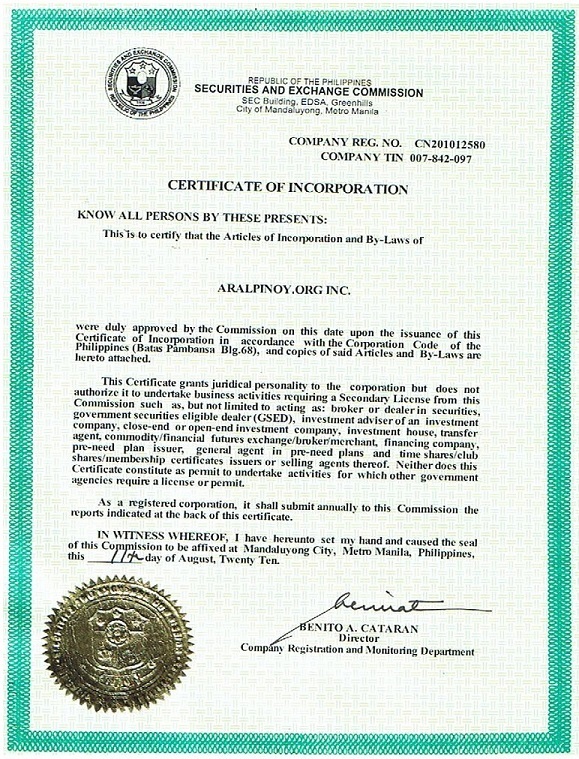 They are signing the following documents: the (1) UNDERSTANDING and the (2) RULES of COMMITMENT. 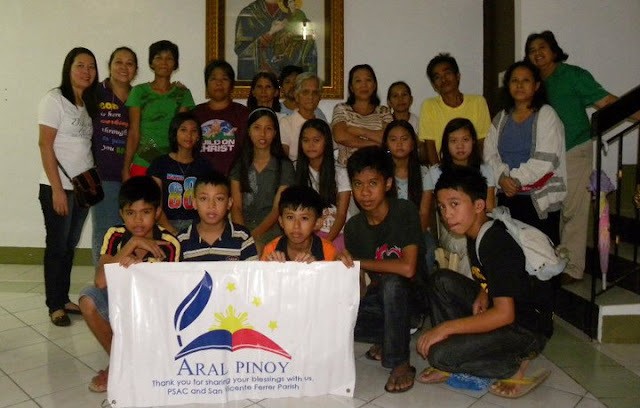 Aral Pinoy Project Baon Scholars with their parents and PSAC representatives.